Should you have come to this site in search of information about Henri Bortoft, as quite a few people do, you may not be aware of my last post. I have the very sad news to relay that Henri passed away on December 29th, peacefully and with his family. He was a great teacher to me, and I am currently in the process of compiling some tributes to him. In the meantime I thought I would write a very personal piece on how I came to discover both Henri’s work and then be lucky enough to spend a week being taught by Henri at Schumacher College. In 2008 I discovered Schumacher College and on looking at their website found the most incredible masters degree in Holistic Science. It is quite hard to explain what Holistic Science is, since Schumacher is a very unique teaching establishment focussing on ecology, economics and spirituality. 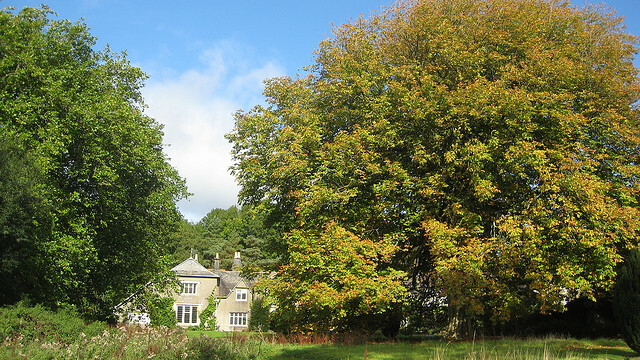 Many different short courses are hosted at Schumacher, and until recently there was just one full-time residential course, the MSc in Holistic Science. When I applied I had just missed the cut off point for entries that year, but I did have the opportunity to visit the college, meeting Stephan Harding, the course director. Prior to that meeting, over the phone Stephan had suggested getting hold of various books on the course reading list, one of which was Henri Bortoft’s “The Wholeness of Nature – Goethe’s Way of Science”. I started reading this in January, as you can see in the photo above. (I realise you may be wondering how I come to have this photo, but that year I was undertaking a “One photo a day” challenge, and this was my chosen photo of the day). If I am honest his book left no mark on me. I really had not comprehended much at all of what Henri had been discussing. I should say at this point that Henri was generally regarded as one of the world’s greatest exponents of Goethe’s way of science, a form of empiricism that complements modern scientific methodologies, philosophies and paradigms, but at the time I had not grasped the essential nature of Henri’s thinking. I am writing this just to show you how alien this way of thinking can be to those of us who like me were brought up with an extremely dogmatic mechanistic way of thinking. My first degree was in psychology, and in particularly it was strongly cognitive psychology with no room for discussions about consciousness or philosophy. We then jump forward in time to October of 2009, when myself and thirteen other fellow Holistic Science students arrived at Schumacher College, from very diverse backgrounds, such as architecture, kite surfing, cosmetics, wildlife parks, restaurants, banking and social entrepreneurship. 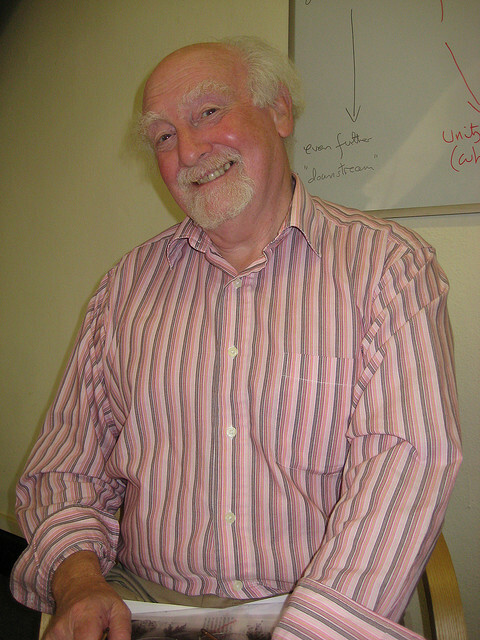 Henri’s teachings on wholeness were central to the entire MSc, and hence he would teach the first week of our course, which itself is a mixture of lessons from Stephan, the course director, Philip Franses, the faculty’s teacher of complexity science, and many other distinguished visiting lecturers. Not all of my fellow students had read Henri’s book prior to the course, but it seemed to me that many of them were picking up his insights quickly, unlike myself. I remember our first lesson with Henri, when he introduced himself. He apologised for his continual cough, due to his breathing problems he had been suffering from, but he was in fantastic form, sharing anecdote after anecdote, in amongst the lessons. Stephan and Philip had suggested to us that we try not to interrupt Henri too much with our questions, as it was more a case of flowing with his language. Henri at this point was pretty much retired, but still came to Schumacher once a year to teach. New terminology was dropping thick and fast, such as “ontology” “epistemology” “phenomenology” as well as the names of many famous and not so famous philosophers such as Heidegger, Merleau-Ponty, Hegel and Wittgenstein. Henri, ever the modest person, had a very disarming way of every so often teaching us a point about one of these great philosophers, and then ending the section with “and of course you will all know far more about them than I.” Nothing I feel could have been further than the truth. I remember one evening going into the library, where there was the largest dictionary you could possibly imagine, the size of a small cardboard box. One of my fellow students Ben told me that he had had to have this dictionary beside him when reading Henri’s book, in order to follow the terminology. This was extremely funny, although I should say that Ben himself had spent some years training in Buddhism, and not only knew his stuff but had the experience and training as well as the intellectual understandings. Henri was absolutely meticulous in his planning of the lectures at Schumacher, and at this point he included reading many excerpts from his new book he had been writing, the working title which was “The Dynamics of Being”. His lectures would be from 10 to 11.30 and from 11.15 to lunchtime at 1. The scope of his lectures was vast, not only covering Goethe’s way of science, but also the history of science, phenomenology and hermeneutics. At the time, not having had any training or background in these, much of it went over my head. 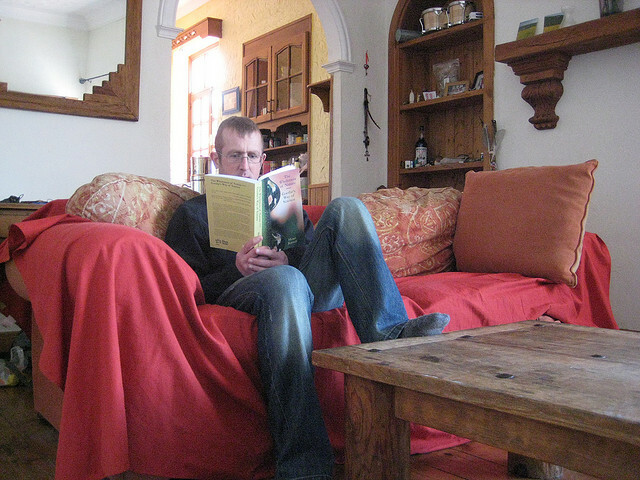 My primary focus and interest in going to Schumacher College was to explore consciousness. Henri had studied wholeness as a quantum physicist under David Bohm, and hence Henri suggested to me that I should read one of the best accounts of David Bohm, Mind, Matter and the Implicate Order: The Implicate Order Revisited, which was a book written by another student of Bohm’s, Paavo Pylkkänen. This would start the next few months of study for me, and perhaps my focus on consciousness was creating a filter that was distorting some of Henri’s key messages and insights. But I am grateful for this advice from Henri, for it opened up Bohm’s work to me, his own comprehension of wholeness in the form of what he referred to as the implicate order, which very much reflected my own experiences, meditations and visions. It was surprising that Henri would leave quantum physics, and by the 1960s he told us that he had become disenchanted with it, with so many charlatans and new age thinkers taking their own misconceived interpretations of what it was, distorting it for their own ends. However Henri would continue his explorations of wholeness not in physics, but in the philosophical discipline of phenomenology, and then hermeneutics, a path which eventually would lead him to a study of Goethe and Goethe’s own very misunderstood way of doing science. Henri had an absolutely delicious sense of humour, with classes always pealing with laughter. Although Henri had one of the greatest intellects I have ever encountered, he was a truly humble soul, entirely focussed on helping his students undergo and experience the same movement in thinking that he had been able to develop in himself. Henri’s career has been one of independence and he had not been affiliated with, or worked for any formal academic universities. He was not a professor, although thoroughly deserved that accolade, and it was obvious from his gentle stories that he had been attacked intellectually throughout his career. Henri would never mention the names of anyone he had had disagreements with, but he would be able to mimic their stuffy and rarified accents, and condescension to a T, always as I said with a gentle yet deliciously dry humour. I can say with certainty that all of us MSc students were left a little shell-shocked, in the very best sense of the word, after our week with Henri. He had introduced us to many new concepts such as going upstream, authentic and counterfeit wholeness, intrinsic dimensions, the active absence, the active idea, unity in multiplicity and the notion of “doing philosophical work”. For Henri this was one of the central themes, and one that is now always with me. 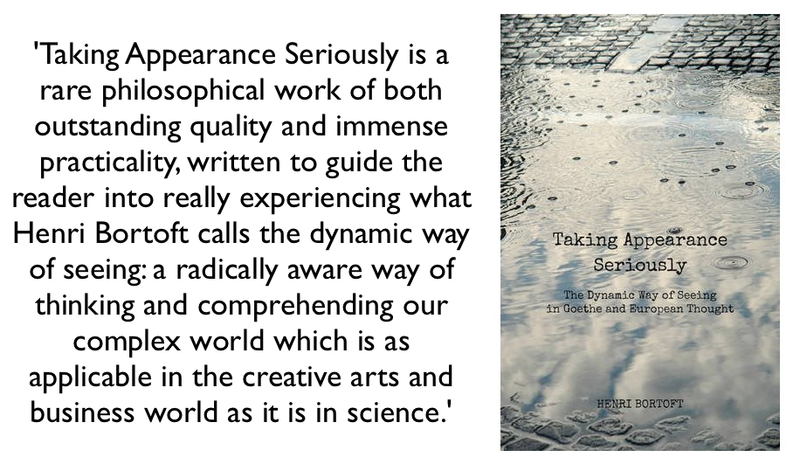 What Henri does is to radically change one’s thinking, so that it moves out of being simply intellectual, to become more intuitive, dynamic, and sensory. But it is by no means easy, as you may be coming to understand by how I myself was struggling to “go upstream”. 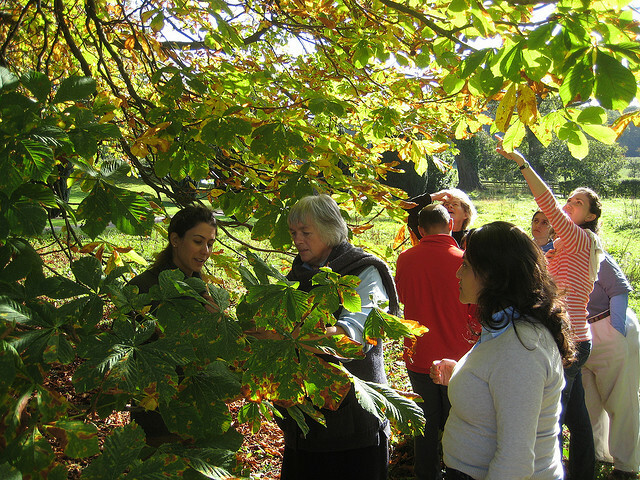 In the second week of the MSc we were taught by Goethian scientist Margaret Colquhoun. 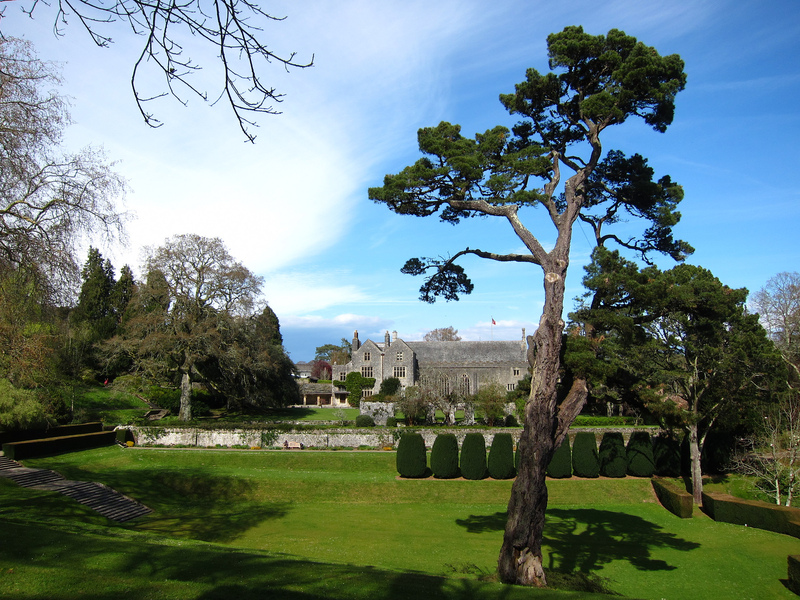 In addition to the morning classes, which themselves were filled with practical exercises in the study and drawing of plants and trees, afternoons were spend in the splendid grounds of Dartington Hall, where we were actively engaged in doing our own Goethian studies. These for me made a huge difference in my comprehension of the science of Goethe that Henri had been teaching us, and Margaret’s teachings also left a huge impact on me, giving me for the first time the opportunity to experience within my intuition the ideas that Henri had been guiding us towards. While with Henri it had been clear to me that he had truly reached a profound level of experience, one that could only result in his lessons being so authentic. It had been frustrating to be so close to his genius, knowing in my mind that he was moving between comprehending external reality as discrete objects, a fractured world of only separation, and into what he referred to as “lived experience”. But with Margaret’s guidance, I finally felt that my intuition was opening up, albeit slightly, and my thinking really was becoming more intuitive, moving me into the sensory – intuitive mode of knowing. As I said previously, I studied Bohm deeply, and by the time I left Schumacher I still felt that I was missing a huge deal of Henri’s teachings. Since Henri was now no longer in the best of health, our year had been the first year where all of of his lectures had been recorded, and it was only after my course that I went back to these recordings to listen to Henri again, as well as listening to the lectures he gave to the following year’s students too. I re-read The Wholeness of Nature and it was only this time around that I began to appreciate the phenomenal richness of his writings, the depth and breadth of how much ground Henri was covering. I did the philosophical work that Henri asked of us, and little by little more came into focus, now having a better appreciation of the distinction between reality as viewed through just the left hemisphere of our brains, and lived-experience in all its wholeness. It took me a while, but I came to really appreciate just exactly what Henri meant by “a movement in thinking” and came to appreciate, although I am still very much a student and not a master, of the notion of the dynamics of thinking. I came to appreciate how much in our common sense view of the world we take for granted, and how much of reality is constructed by us. Hence I came to contemplate, and am still studying to this day, the notion of meaning. By early 2011 I was developing material for lectures, partly based on my continued studies of Henri. One of Henri’s great insights was the failings as he saw it in systems thinking. My now wife Maria had suggested to me that there was a great need in Brazil (where we were living) for teachings on complexity, and so my work began on how I could teach complexity science along with Henri’s insights on systems, and authentic and counterfeit wholeness. As I said, I still consider myself a student of Henri, but now myself and also Maria are introducing Henri’s work to business students and business executives. In a business world that claims to now have moved from the industrial age to a post-indistrial knowledge economy, very little focus or effort in business appears to be placed on developing the quality of thinking of people in organisations. Our world is complex and dynamic, and I feel strongly that Henri’s teachings are of huge importance in helping us to understand why our command-and-control ways of working are no longer serving us. Although not in contact with Henri personally after leaving Schumacher, I was in contact with Christopher Moore, Henri’s editor at Floris Books, the publishers of The Wholeness of Nature and also Henri’s new book, which he had decided at the last minute to call Taking Appearance Seriously. (The book title is a clever play on words – appearance can be read as both a noun and also a verb). Christopher invited me to review Henri’s manuscript, a huge responsibility for me given how many years of work I knew Henri had put into it. I was wonderful for me to finally read many of the passages that Henri had read aloud to us in 2009, but also to once again flow with Henri’s meditative style of writing. In 2011 Henri was finally diagnosed with pulmonary firbrosis, an auto-immune disease of the lungs. In the latter part of 2012 Christopher wrote to me to let me know that Henri was in hospital, although at the time I was not aware of the nature of Henri’s illness, or the gravity. I had sent Henri an interview by email which I was hoping to publish in order to help promote Taking Appearance Seriously, but still remembering Henri’s uproariously funny story of how Otto Scharmer had chased him for an interview in the 1990s, I stressed in my letter that he should only respond if possible. Like so many other students Henri has taught, he left a huge mark on me, both personally as well as his work. Many of my fellow students from Schumacher, as well as others who have read his works, continue to teach and work with his philosophy around the world, in many differing spheres of life. I will publish some of their many tributes to Henri shortly. All I can really do is leave you with the words I wrote about Taking Appearance Seriously, and say just how much this wonderful soul meant to so many people. Elequent tribute to a great mind and soul. I have been a “student” (in spirit, not in person) of Henri’s and Bohm for as long as I can remember (I am a Ph.D. physicist specializing in complex adaptive systems, but whose soul is at least as tuned to matters more spiritual and aesthetic). Henri leaves a profound legacy of the deepest insights that will help propel and evolve science forward in the coming generation(s). I have just started reading the copy I recently received of his last book and am relishing the rich, dense ocean of ideas and musings. If I may make one recommendation (that I’m sure you must be familiar with already): look at Christopher Alexander’s opus “Nature of Order” (particularly c olumes 1 and 4, of the 4 total volumes). I cannot mention details in an already long commentary, but will simply say that all those who resonate with Henri’s worldview will no doubt resonately as strongly with Alexander’s; they were, on the hightest levels (in ALexander’s case, “still” as he is very much alive), ruminating about the same core notion of “wholeness” in physics and reality (and our perceptions of it). Thanks again for the wonderful tribute.